That carpet is worn. It’s old. And, it’s dirty. Which means it needs to go and go as soon as possible. What you must know upfront is that carpet removal isn’t too big a deal. Yes, it does require some time and effort. However, it’s not something that takes specialized skills and/or tools. Just empty the room (don’t leave anything inside). Then, pull up the carpet starting in a corner. If possible, pull it up along the wall from one side to the next. Roll it up as you go across the room. Stop about half way, cut the carpet in half. Then, roll up the other half. Doing so will make it much easier to handle and a lot less heavy. Then, roll up the padding and carry it out of the room. Thereafter, you can have a junk removal service pick it up and take it away. Tile. Beautiful and durable, tile costs between $1 and $20 per square foot. So, there’s a huge price range. And, there’s all sorts of options available. But, it’s typically expensive. Also, it’s not ideal for some spaces, like bedrooms. Vinyl. One of the least expensive option is vinyl (it only costs about $1 to $5 per square foot) and it comes in a wide variety of styles. But, it’s not as durable as tile or hardwood, or engineered flooring. Laminate. If the lowest price is the goal, go for laminate. It costs just .50 cents to $3 per square foot. Although it also comes in a big variety of styles, it’s not always water-resistant and doesn’t fare well for resale. 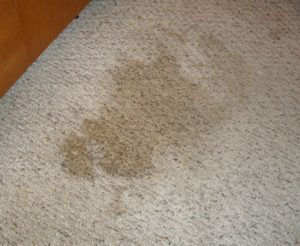 For the best in carpet disposal, simply phone 800-433-1094 or visit Junk Garbage Removal.